There’s no such thing as a low-energy rave. And ANS Performance clearly doesn’t intend to pioneer in that direction. ANS Performance RAVE is an energy supplement through-and-through, delivering 4 different, high-dosed stimulants, one being everyone’s favorite drug: Caffeine. But Nootropic Geek: I thought stimulants weren’t nootropics?? You’re damn right, reader. However, if you think that means that RAVE is not a true nootropic supplement, then you’re also damn wrong… kind of. Maybe. The nootropics range between relaxants and neuroregenerators, the energy comes in the form of exotic, caffeinated stimulation. While there are bona fide nootropics in this stack, the sum total of the RAVE experience comes out to a pre-workout level of cognitive enhancement. Directions: Mix 1 scoop (3.5g) of RAVE with 6 oz of cold water and consume 15-30 minutes before activity. Do not exceed 1 scoop with first use of product. Assess your tolerance to RAVE prior to increasing dose. Dose may be increased up to a minimum of 2 scoops (7g) for extreme focal intensity (mixed in 10-20 oz of water). Do not take within 4 hours of intended sleep. Read entire label before use. Vitamin B6 (as Pyridoxine HCl) – Of the B vitamins, B6 possesses the most significantly noticeable cognitive boosts, elevating mood and circulation. (Although, P-5-P is superior to pyridoxine HCl.) More on Vitamin B6. Taurine – Can you believe this stuff comes from bull nuts? Of course, you can believe that — you’re a gullible idiot. Taurine is not sources from cow testicles, but is a notable relaxant for its neurotransmitter GABA promotion and antioxidant potential. More on Taurine. 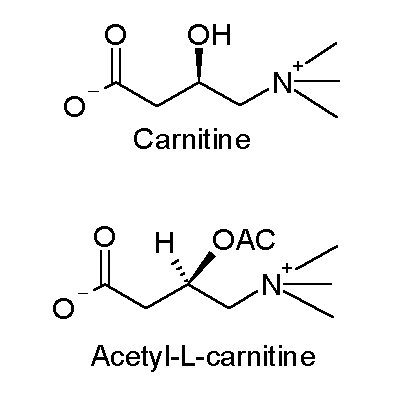 N-Acetyl-L-Carnitine – Many manufactured nootropic stacks carry ALCAR, despite its limited association with elderly cognition. As such ALCAR might energize cognition for the younger doods and doodettes under specific, undefined circumstances, but we’ll need more research to pinpoint that mechanism. More on ALCAR. 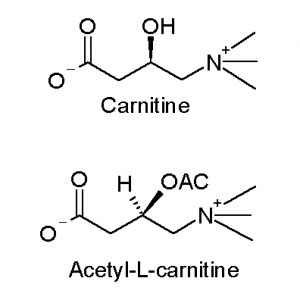 N-Acetyl-L-Tyrosine – Is it the BEST anti-stress compound? It’s definitely an effective one, given the brain’s tendency to burn natural tyrosine reserves during conditions of high stress and activity. Props to ANS for supplying the “active” NALT form. More on Tyrosine. Choline Bitartrate – Choline is a key brain health compound, a precursor to neurotransmitter acetylcholine and membrane lipid phosphatidylcholine. However, only citicoline or alpha-GPC (not choline bitartrate) can deliver choline across the blood-brain barrier. More on Choline. MagicLion™ Hericium Erinaceus Extract – Exciting shroomy nootropic, believed to promote nerve growth factor (NGF) activity for enhanced neuroregeneration and neuroprotection. More on Lion’s Mane. Huperzia Serrata Extract (1% Huperzine A) – Prescribed in various countries as a neuroprotector against age-related neurodegeneration, huperzine A is a potent memory-protecting alkaloid, best known for its inhibition of acetylcholinesterase, an enzyme that breaks down neurotransmitter acetylcholine. More on Huperzine A.
Caffeine Anhydrous – Straight caffeine, baby. Delivered in a jolting, yet manageable 175 mg (roughly the caffeine content of a grande Starbucks Caffè Mocha). More on Caffeine. L-Theanine – The only forgivable way to utilize caffeine in a nootropic stack is to complement it with L-theanine, a non-sedative, relaxing amino acid that reduces the jitter of caffeine while maintaining the focus. More on L-Theanine. 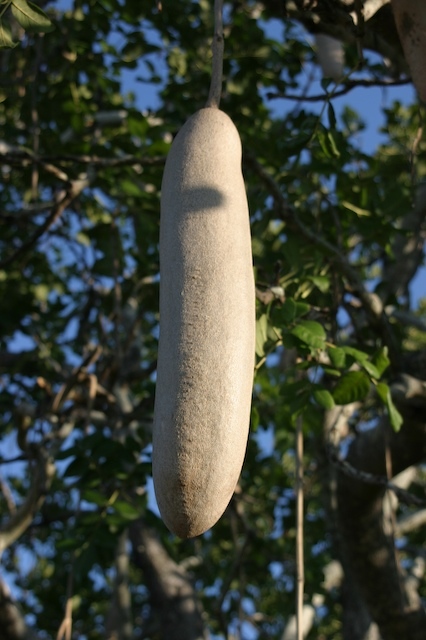 Kigelia Africana Extract – Kigelia africana, or Sausage Tree, is believed to supply CNS-stimulating compounds in its bark, although there are no clinical human trials to support this claim. Higenamine HCl – Often found in a fat burners for its potential thermogenic benefits and (unsubstantiated) ephedrine-like mechanisms. May provide more stimulation to this caffeinated formula. RAVE serves high ingredient dosages. RAVE‘s serving size is malleable. Other manufactured stacks are limited in their dosage sizes. Plus, not all nootropics are one-size-fits-all, and it’s easier to change the “size” of a serving with powders rather than capsules and tabs. Not that capsules and tabs are impossible formats, or that powder designs are inherently good. But RAVE uses its form well (in tasty flavors — which, I suppose, is both Pro and Con to powders), maximizing its hefty scoop servings with high-quality, well-researched nootropics… and, well, stimulants. And that’s a potential downside to this formula: The energy is stimulation. Caffeine, Kigelia Africana, Higenamine — these are reliable sources of chemical energy, but they’re not bona fide, brain healthy nootropics. They don’t enhance brain health, and may actually diminish brain health over time, if used frequently. Granted, RAVE provides relaxants such as L-theanine and taurine to offset any excess bursts in energy (plus the “lionine” MagicLion shrooms is a major nootropic bonus), but if you’re dipping into the 2 scoop serving range, then that’s a lot of stimulation, effectively converting this nootropic supplement into a pre-workout stack. RAVE reliably amplifies the energy and lifts the mood, tossing in a few anxiolytic relaxants to reduce any hair-raising, stress-induced side effects. The powder form allows for high dosages and malleable serving sizes, lending more control over intake for RAVE’s users. The quality of RAVE’s ingredients is high, showcasing potent N-Acetyl compounds and patented ingredients (MagicLion and Infinergy). 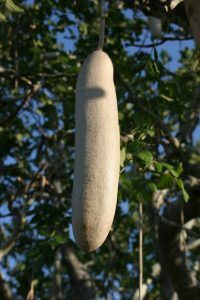 Kigelia africana and Higenamine require more research for us to better understanding exactly how they work in the human body. RAVE is “Designed for the Athlete, Gamer and Workaholic that wants to #turnitup”. Given the hashtag and the no mention of students or classrooms, this emphasis on work-hard, play-hard is spot on. On the flipside, I wouldn’t consider it for long-term cognitive benefits on, say, memory, concentration, anxiety, etc. 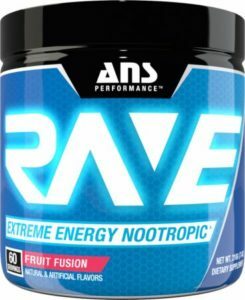 You can buy RAVE directly through the ANS Performance website as well as most major online retailers, such as Amazon and Bodybuilding.com. RAVE certainly works as an Extreme Energy Nootropic. So much that certain retailers and customer reviews categorize the product as a preworkout product more so than a nootropic supplement. To be fair, RAVE looks, tastes, and feels like a PWO as well, leading me to question its status as a nootropic. If you’re seeking for brainy cognitive enhancements, RAVE isn’t your stack. But if intense energy and focus are the benefits you seek, seek no further.